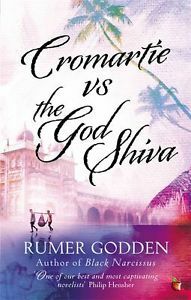 Rumer Godden’s Cromartie vs the God Shiva is a miniature classic with an over-long title. It is Godden’s last novel, written at age 89. Based on a court case resolved in 1994 about a stolen 12th-century bronze statue of the god Shiva that turned up at the British Museum, it explores the issue of whether museums and dealers have a right to art treasures. 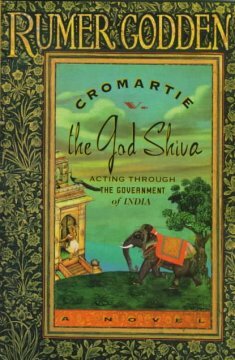 In Godden’s novel, a stolen statue of Shiva turns up in London in the possession of a Canadian antique dealer, Mr. Cromartie. The government of India wants it returned. After the dense opening pages, which present information in the form of dialogue, this gracefully-written book proceeds at a fast clip. Sir George Fothergill, QC, and his head clerk, Walter Johnson, debate whether to take on the case representing Shiva acting through the government of India. Sir George has his doubts. But his colleague, Honor Wyatt, Q.C., thinks the case is “poignant,” and the firm takes it on, assigning it to Michael Dean, the senior of the junior barristers, who was raised in India. The figurine of Shiva was stolen from a lovely hotel on the coast of Coromandel, where its value had only recently been discovered. Mr. Cromartie, the dealer, claims to have known nothing of the theft: he tells Michael that he won’t return Shiva to India unless properly paid, and claims he was recently been told the hotel was in financial difficulties and the hotel owner only pretended to steal it. Michael travels to Coromandel to investigate the case. He admires the beauty of Patna Hall, an old-fashioned luxury hotel built by the beach and hills by an English businessman in the early 20th century. The Englishman’s granddaughter, known as Auntie Sanni, now runs it, but it was Professor Webster, an archaeologist who comes every year with a group of tourists, who discovered that the original Shiva had been replaced by a fake sometime in the last year. Who stole and sold it ? A guest? An inhabitant of the village? An archaeologist? And who made the perfect replica? And then Artemis arrives, a young beautiful American archaeologist, who is intellectual, vital, and volatile. She is intensely competitive at everything she does and swims like a mermaid. And yet there is something lost about her. Michael falls in love with her. The intense danger of the hotel’s magically colorful private beach is stressed throughout: the waves are so strong that one cannot swim without wearing a wicker helmet. Michael goes for an early-morning swim. Crabs scurried across it, there was an occasional starfish and blue jellyfish. All along was the barrier of tossing white, higher than his head, as the waves swept in, rearing up before crashing down; he had not realized till last night how gigantic they were. Beyond them the open sea was calm and azure blue…. The solution to the mystery is sad, moving, and complicated. In some ways it reflects the qualities of Shiva Nataraja, who Godden tells us represents creation, preservation, destruction, concealment, favour. A lovely book. Godden wrote another book set in Patna Hall, Coromandel Sea Change. It’s on the TBR. This entry was tagged Cromartie vs the God Shiva, Rumer Godden. Bookmark the permalink. Coromandel Sea Change is quietly stunning. Oh, I can’t wait to read it. And by the way I’m reading your lovely book. The writing is stunning and it also moves very fast.